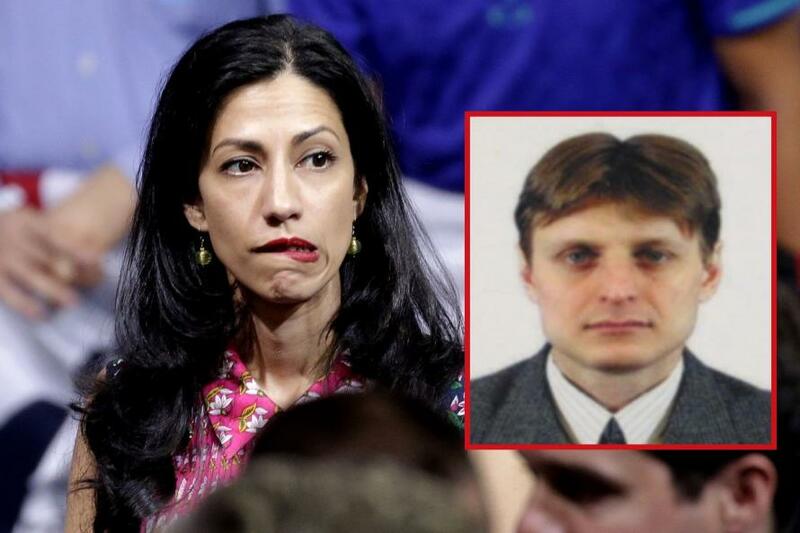 Huma Abedin forwarded a trove of sensitive emails to her personal Yahoo account, including passwords to government systems - before every single Yahoo account was affected by a massive hack conducted by a Russian security expert employed by the same Moscow bank former President Bill Clinton gave a $500,000 speech to in 2010, according to Luke Rosiak of the Daily Caller. 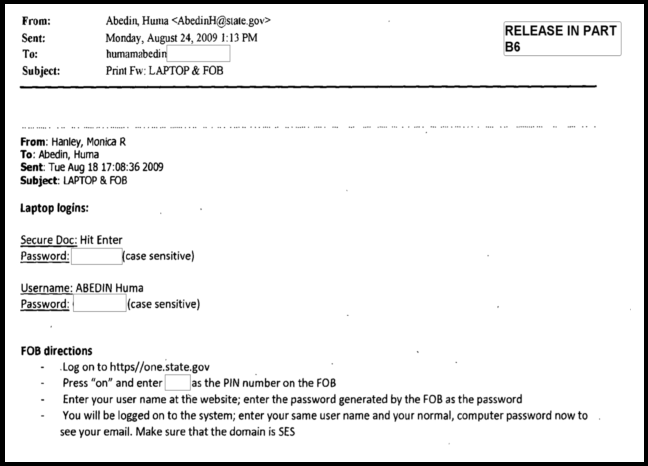 As Hillary Clinton's Deputy Chief of Staff at the State Department, Abedin sent passwords for her government laptop to her Yahoo account on August 24, 2009, according to an email released in September 2017. This wasn't the first time Abedin sent sensitive information through Yahoo. In addition to classified notes on a call with the U.N. secretary-general, Abedin received an email with the subject "Re: your yahoo acct." - establishing that others knew of her use of the email account for official business. After Abedin sent an unspecified number of sensitive emails to her Yahoo account, half a billion Yahoo accounts were hacked by Russian cybersecurity expert and Russian intelligence agent, Igor Sushchin, in 2014. The hack, one of the largest in history, allowed Sushchin's associates to access email accounts into 2015 and 2016. At the time of the hacks, Sushchin was the security director for Renaissance Capital - the investment firm which paid Bill Clinton $500,000 for a speech in 2010 that was attended by Russian officials and corporate leaders. "The speech received a thank-you note from Russian President Vladimir Putin," wrote Luke Rosiak of The Caller. The United States charged Sushchin with the hacks in March, 2017. His indictment reads "the conspirators sought access to the Yahoo, Inc. email accounts of Russian journalists; Russian and U.S. government officials, and others. The New York Times reported that the Yahoo hack - which affected all Yahoo accounts, affected users' names, birth dates, phone numbers and passwords that were encrypted with easily cracked security. The intruders also made off with security questions and backup email information - which is particularly useful to hackers seeking to break into government computers worldwide. While Clinton and Abedin woefully mishandled classified information, they were never prosecuted - after an investigation led by disgraced FBI counterintelligence agent Peter Strzok determined that Clinton's behavior did not warrant litigation. "We do assess that hostile actors gained access to the private email accounts of individuals with whom Secretary Clinton was in regular contact from her private account," said former FBI director Jim Comey in the agency's exoneration of the former Secretary of State. In this case, the "hostile actor" was none other than a man employed by the very bank Bill Clinton gave a 2010 speech to for a cool half-million dollars. What a small world! Finally, none of this was lost on Trump was promptly reacted on Tuesday morning, tweeting "Crooked Hillary Clinton’s top aid, Huma Abedin, has been accused of disregarding basic security protocols. She put Classified Passwords into the hands of foreign agents. Remember sailors pictures on submarine? Jail! Deep State Justice Dept must finally act? Also on Comey & others"